Catholic Schools NSW has called on the State Government to use this month's Budget to reduce the load on parents who currently fund some 80 per cent of capital projects in Catholic schools. 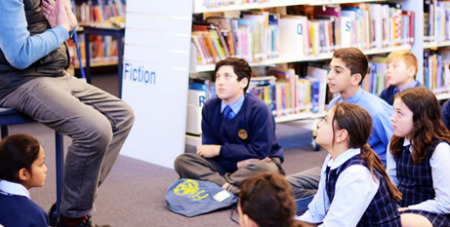 CSNSW Chief Executive Officer Dallas McInerney said the government needed to use the budget to raise the level of capital funding support to non-government schools, which was ridiculously low compared with other major states. “The Victorian government is providing $120 million in capital funding support this financial year to a non-government sector that has 711 schools,” Mr McInerney said. “The Queensland government is providing $92.7 million to support capital works among its 491 non-government schools. “But in its last budget, the NSW government allocated just $33.3 million for this state’s 944 non-government schools,” he said. Speaking at the EduTECH conference in Darling Harbour recently, Mr McInerney said the share of this funding available to NSW’s 595 Catholic schools was some $20 million – barely enough to build one new primary school. He said CSNSW prioritised all the government funding it receives for capital projects to Catholic schools with the least ability to raise funds. “Capital funds from government go to the Catholic schools that need it most,” Mr McInerney said. Mr McInerney said Catholic schools have relied for years on the generosity and commitment of parents to fund at least 80 per cent of capital works each year through building levies and other fund-raising. “With the rising cost of land, construction and classroom technology, parents cannot be expected to shoulder this burden to the same degree much longer.